2hours from Budapest, we are located right behind a free beach access to the lake, right opposite a large shopping and dinning court, only few minutes from the best clubs, lots of freebies!!! Looking for a hostel in Budapest? Rainbow is the best choice if you're looking for a nice, clean, trendy hostel with an excellent staff close to the major landmarks of Budapest. 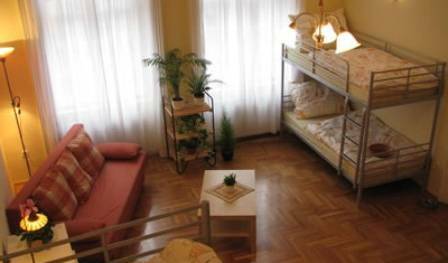 Newly renewed sunny hostel with great location, two min walk from Keleti station. Brand new beds, showers, kitchen and helpfull staff. Brand new backpacker location in the heart of the city. Spacious dormitories and private rooms for resonable prices. Hostel in the center of Budapest. 2 minutes from the parlement, and from the castle. Nice price! Hostel Domino is a brand new backpacker's hostel located in Budapest's premier tourist shopping boulevard. Small and medium dormitory rooms, guest kitchen, all newly outfitted in 2006 and spotlessly maintained. The Marco Polo Hostel is a state-of-the-art hostel designed to the highest standards. The hostel is a member of the IYHF and offers discounts for HI cardsholders. 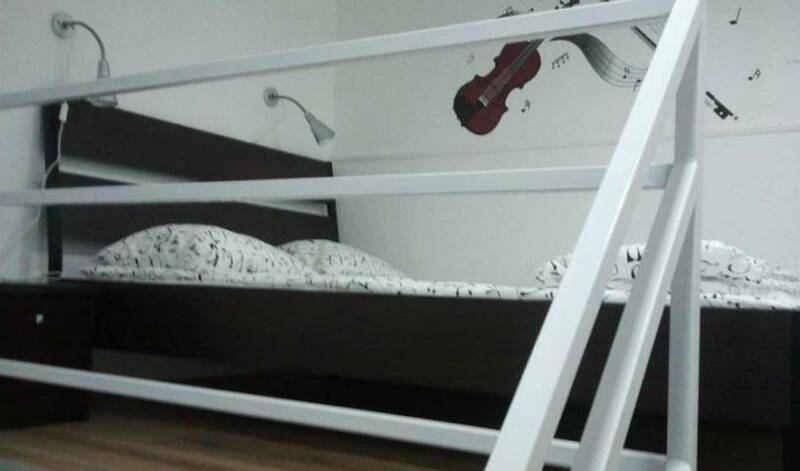 This is a very centrally located hostel at the Deak sqr is in the centre of Budapest, near the most popular downtown walking street near the crossing point of 3 metro lines. Brandnew hostelstyle gardenhouse rooms with all facilities to be used very close to the Airport in Budapest and good traffic connection to the center. 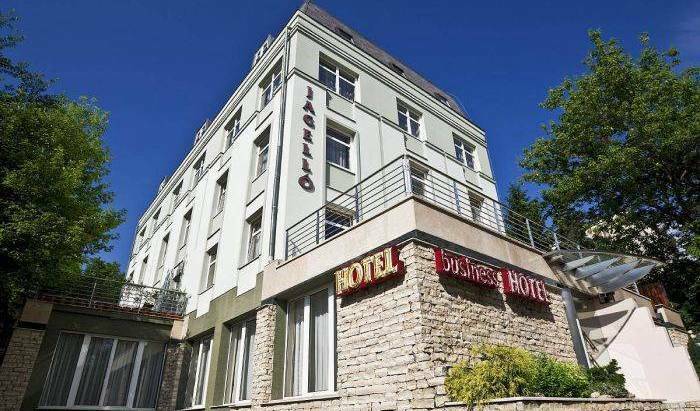 Rooms are close to the József Körút Boulevard at Pest side, VIII district, and conveniently located near downtown area. The Leslie Apartments hotel is situated in the very centre of Budapest on the Pest side of the city. Ensuite dorms, twin and double rooms in downtown Budapest. The apartment is located in newly renovated monument building from the 19th century at beautiful on József körút boulevard close to Rákóczi square. Hostel Rila is situated in the center of Budapest, in a peaceful green area, close to the highway to the airport, just 3 stops by metro (M3 blue line) from the heart of the city. Centrooms House offers modern, comfortable and cheap rooms, with private bathroom, cabel TV, room safe and air condition in the heart of Budapest. Apartment near by Westend City Center in Budapest! Our hostel opened this year in may. We have 48 beds , 6 and 8 beds dormitories and beds private. In the house is the internet and self service laundry. We accept 24 hours check in. We are very near to the famouse walking street Vaci utca. The apartment is located in a dynamic and historic Ferenciek square, in the middle of the famous pedestrian Váci Street. River Danube and the Elisabeth bridge are no more than 50 meters away from the building. Apartment in the City Center of Budapest! Apartment is situated on the József Körút Boulevard, 67 at Pest side, VIII district, downtown area. The building is a monument built at the end of 19th century, with nice balcony with view on the town. Kisfaludy street apartment is situated close to the József Körút Boulevard at Pest side, VIII district, and conveniently located near downtown area. Dear Friend, We are at the coolest entertainment spot downtown Budapest, all rooms with own sanitary facilities (shower, toilet, basin) at the lowest price possible. What to look anymore for? Details follows . 1st Hostel Budapest has a good location near the Danube river. It is a high quality hostel with very reasonable prices. Apartment is situated on the Teréz Boulevard, 7 at Pest side, VI district, and conveniently located near downtown area. The flat is situated on the first floor of the renovated monument building erected at the end of 19th century. The apartment is 50 sqm in size with one big and one small room. Blue Sky is apartment in small street near by Orczi square, 4 stops by bus 9 from the Jószef boulevard. Apartment is situated on Erzsébet boulevard in the city center in building where is famous Mozart cafe. A friendly central and cheap place to stay at when you visit Budapest for couple of days-completely renovated in March 2010. We are the best located Apartments in Budapest in the 5th district. To check in call our mobile telephone immediately when you are in Budapest. Please no arrival after 10pm! Apartment quiet to relax, close to the center. New, beautiful, sparkling clean private rooms in downtown with free WIFI, breakfast and more. Modern-style apartment close to the biggest synagogue of Europe and Blaha Lujza square with excellent public transportation. Central location, near to main train station Keleti. 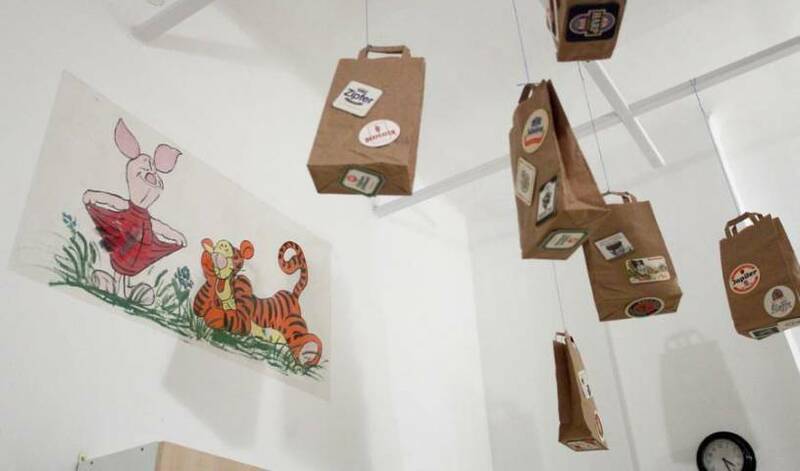 Animation City Hostel is a brand new, cozy accomodation in the buzzing heart of Budapest. We offer 6 tastefully furbished rooms for our guests, with a fully equipped kitchen and a comfortable public room with flatscreen TV. 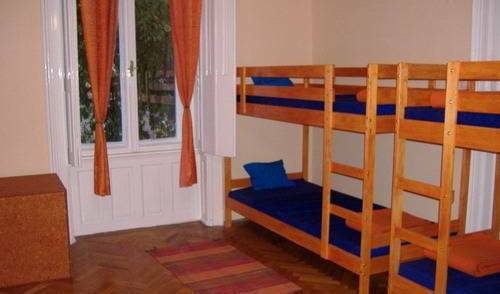 CoolTour Hostel is located in the heart of Budapest, a short walk from Deak Square and the well known Kiraly Street. Here, you can find everything unique to Budapest; famous ruin bars, excellent street food and alternative local businesses. Astoria City Hostel is right in downtown Budapest. New and more bathrooms for the 2006 season! Happyhouse its a smallgroup hostel and flats with private ensuite in the very central of Budapest. Friendly clean place with a very helpfull owner who ready to give all the knowlidge about Budapest day and night life!! The Saint Ignatius hostel is a friendly place for everybody, who interest about Budapest and surroundings. You can take a rest here and earn more power for your travel. In the really CENTER OF THE CITY! Two different subway lines are in 500 meter. One minute walk from the main boulevard encompassing the greater heart of Budapest. Apartments at the heart of Budapest. Free Wi-Fi, Kitchen for short or long rentals. Invoice for your stay provided. Spend your holidays in Hungary as if it was your own home. 15 minutes from downtown newly built modern apartment’s room at best price – with garage parking! City Center apartments, studios and rooms in the busy Budapest Broadway District, close to all tourist-attractions and the business district! Newly opened hostel with special services, SELL ONLY PRIVATE ROOMS, NOT BEDS! City Center hostel with privat and shared rooms. Excellent location, best traffic connections. Reasonable prices for quality service. Situated in top center of Pest, at the most attractive location in town, TÖKÖLYANUM is Budapest unique HOSTEL with turn of the century charm! The Agape Guesthousel offers high quality en suite guest rooms and apartments. All the rooms and apartments are situated in a beautiful, newly built house in a central location and offer great value for money. Riverview Apartment is a Budapest holiday rental studio apartment located in Budapest's very best downtown area opposite the banks of the vibrant Danube, just by the promenade and Vaci utca. With a balcony overlooking the River Danube and the Buda Hills. Cheap rooms in the city centre! 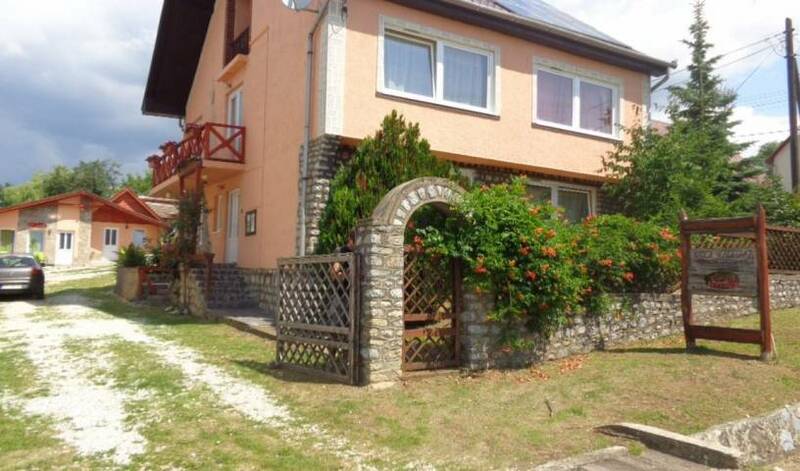 Quiet, fully equipped apartments in absolute middle of the city center. At the lake Balaton, in the centre of Keszthely (15km from Fly-Balaton) you can find our Hostel and apartments. It is an ideal accommodation and meeting place for people, who are looking for relaxation and an informal atmosphere. Very favourable prices. Backpacker & family friendly hostel with French-Hungarian couple! "L'Hotel piú bello dell' Ungheria del 2010"
The charming, family-run Gibraltár guest house can be found in a very nice and calm part of Sopron, a 15-minute walk from the old town and offers beautiful views of the city centre.